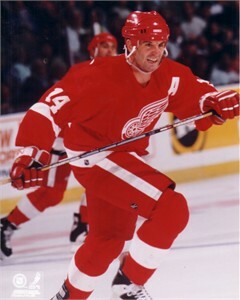 Officially licensed 8x10 photo of former Detroit Red Wings superstar Brendan Shanahan. NOT AUTOGRAPHED. ONLY ONE OF THIS POSE AVAILABLE FOR SALE.